Miller Engineers & Associates, Inc. is a small firm with 17 full-time employees. We provide services to a diverse client base including private owners, local municipalities, parish government, commercial and industrial clients. ME&A is licensed to provide engineering services in Louisiana (EF 565) and surveying services in Louisiana (VF 98). The firm was originally started in the 1930’s by T.F. 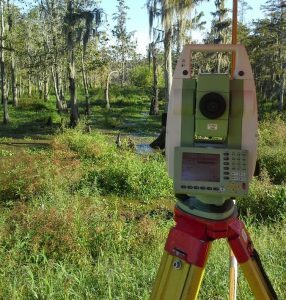 Kramer to provide civil engineering and surveying services in the south central Louisiana area. In 1966, Robert E. Miller, Jr. joined Mr. Kramer to form Kramer & Miller, Inc. In 1974 the company name was changed and operated under the name of Miller, Thomas & Miller, Inc. In 1978, the name was changed to the current name of Miller Engineers & Associates, Inc. Our company is now in its third generation of providing engineering and surveying services to is clients throughout south Louisiana and carrying on the legacy established by Robert E. Miller, Jr. and Glenn E. Miller.